Rainbow Riches is a popular fruit machine in the UK and can often be found in the bookies or amusement arcades up and down the high street. In fact, it's made the transition to more traditional casinos and often can be found sitting alongside the IGT Pharaohs Fortune and Novomatic's MultiGaminator machines (home to the Book of Ra slot). The Rainbow Riches slot marks a move away from the tradional 3 reel fruit machine and is like a hybrid between that and the Vegas style slot games. Rainbow Riches slots are manufactured by Barcrest (owned by IGT) and licenced through Wagerworks to online casinos like Sky and Paddy Power Games. It has no less than 3 seperate bonus rounds which you can view by selecting the "Paytable" link in the game above. When you first load Rainbow Riches you will be asked if you want to play for fun or play for real. The latter requires you to register and deposit while the free version you can just play straight off the bat. 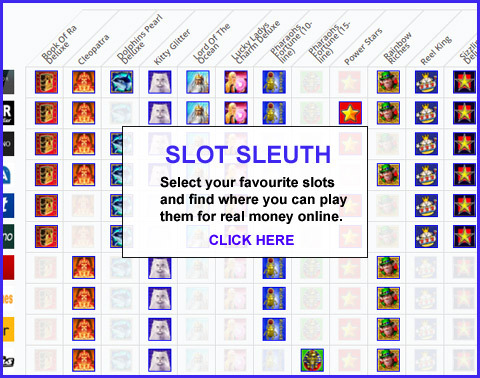 For similar games to Rainbow Riches, see the fruit machine homepage. This version is a port of the original Rainbow Riches slot but there is now a second version available with slightly different bonus features and stacked symbols which you can play online here: Rainbow Riches (WinBig Shindig). The payout percentage on the version above is 95% (better than the land based version) while the WinBig Shindig edition has a whopping 96.46% expected return at all online casinos! For more online casinos that have Rainbow Riches slots (and many other slot games for that matter) check out the Slotseek slots search engine which has a full list of every casino with both versions of the game.